Click here for the current interest rate and annual percentage yield on this account. 3 checks or 6 transfers allowed each month. Withdrawals through our teller windows are not chargable. If the daily balance falls below $50, there is a monthly maintenance fee of $0.50. A debit fee of $1.00 will be charged for each debit transaction in excess of six during a calendar month. 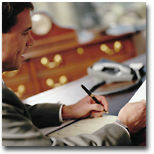 Click here to obtain current interest rate information on this account.